Pros: Strong script and well observed interaction between mother and child. Cons: Some random conversations occasionally take the story too far away from its core. A highly literate examination of family relationships that will strike a chord in all of us. The Camden People’s Theatre looks unremarkable from the outside, nestling in a row of high street shops in Hampstead Road. 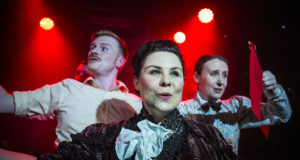 But like all good community theatres, it thrives on the promotion of new, upcoming talent. 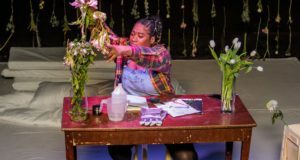 The Pivot Theatre, in their first outing, present an all too familiar story of the growing emotional distance between a mother and her daughter. Clara is a single mother with a fifteen year old daughter, Holly. Clara tries to juggle the demands of her job and being mother to a rebellious, independent daughter who longs to be let off the leash and to live in the adult world. Clara’s life is further complicated by an elderly mother whom she has placed with a full time carer. She tempers her actions with the need to live her own life, but still feels some guilt at passing the buck. Subsequent scenes hint at the nature of Clara’s job and reasons for her own anxieties. We bear witness to Holly’s apparent crush on her teacher, Clara’s obsession with work and two couples discussing the latest BBC celeb to be caught with his trousers down, describing in explicit detail what should be done with such perpetrators. Holly resolves to meet James, her boyfriend in London, despite Clara’s veto. A mother’s state of panic is almost complete; Holly is physically mature but emotionally still a child. The thumb generation will think nothing of one short click on a laptop or mobile, forever sacrificing their privacy, innocence and safety. Clara’s occupation is finally revealed towards the end of the piece; she works for a charity that examines pornographic images on the web and tries to get them taken down. Clara muses at the power of the internet once an image is uploaded. The dynamic, unstoppable potential that could send an image viral in a matter of seconds. Images once received could then appear on a mobile, tablet, laptop or PC. She is thankful that her daughter has survived unscathed. There’s no question Gulf has its heart in the right place. It links the topical story of TV presenters’ sexual tendencies with the unfettered power of the web to aid and abet such acts. The piece also shows how easily the young can be seduced and duped by the ultimate power of the web. However, I can’t help thinking this story has somewhat missed the boat. It deals with issues that have been out in the open for some time and doesn’t really add anything new to the debate. 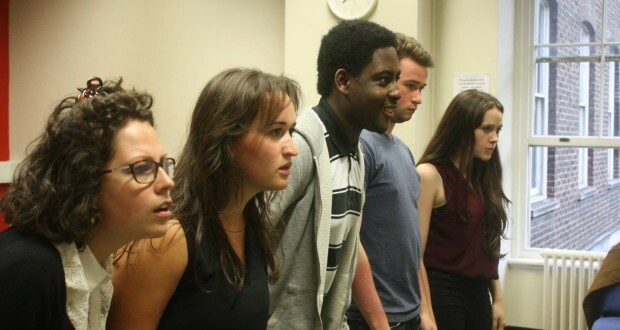 Having said that, it’s a soundly written piece performed by a capable young cast. Caroline Ward as Clara and Victoria Hamblen as Holly take all the acting honours. Despite the fact that they look around the same age, they are always believable as mother and daughter. 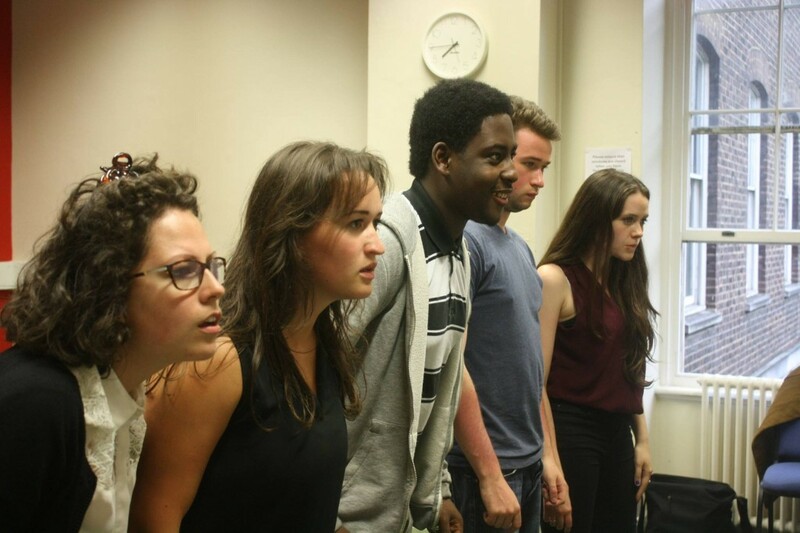 Elliot Hall, Evie Beaven and Ronald Nsubuga all lend sterling support in the ensemble roles. A good effort linking common themes together.